Port of Centralia officials praised local lawmakers Friday for securing more than $3 million in funding for transportation projects at Centralia Station. The state’s transportation budget, which passed the Legislature Thursday, sets aside a $3.1 million package for improvements at the Centralia Station property. Known as the I-5/Mellen Connector project, it will include a new offramp and existing street extensions for the development, which has Fred Meyer as its anchor tenant. All three members of the 20th District delegation played a role in getting the money, but the Port singled out Rep. Ed Orcutt, ranking member of the House Transportation Committee. “Without the support of our delegation, Rep. Orcutt, Rep. DeBolt and Sen. John Braun, this project and the hundreds of jobs it will provide wouldn’t be possible,” Port Commission President Julie Shaffley said in a statement. 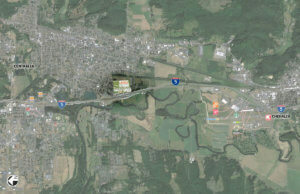 Centralia Station is included in this aerial photo of Centralia and Chehalis. Centralia Station, a 43-acre Port of Centralia development proposed off Mellen Street, would include not only Fred Meyer, but restaurants, other businesses and walking trails. 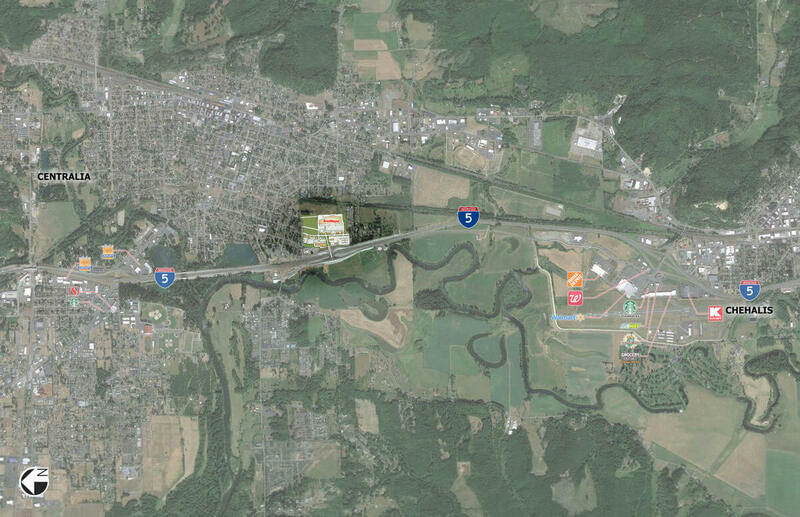 Once Centralia Station opens, a report from ECONorthwest completed last year estimates the complex will employ 535 people in Centralia, with sales totaling an estimated $118 million annually. There’s also $7.1 million in state and local taxes expected to be generated. In the first 10 years of operation, Centralia Station would pay the 2016 equivalent of nearly $5 million in property taxes, according to the report.